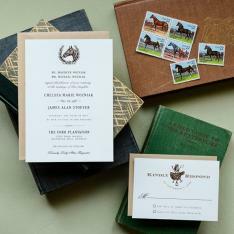 We don't know about you, but when we hear the following description: You are cordially invited to an English Equestrian Celebration in a Countryside Manor, our mouths inexplicably drop open. This sounds like the stuff movies are made of. If we received an invitation to a wedding or event with the above phrase, we would most certainly be on planes, trains, rocket ships and boats to get there. We may even swim across the Atlantic, that's how exciting this sounds. 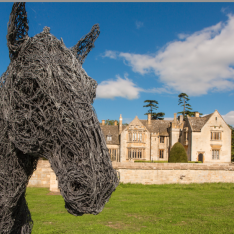 In addition to the elegant equestrian venue vibe of Ellenborough Park, the property is located in the Cotswolds, a supreme location full of ancient castles and quaint villages. 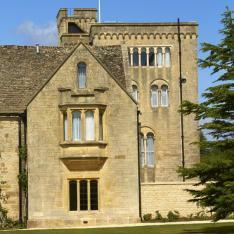 Ellenborough Park was fully renovated a mere five years ago and just re-opened in 2011! Hooray! 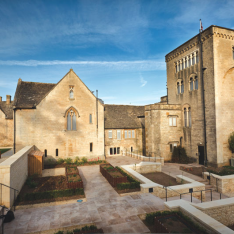 This ancient house turned hotel/venue is on the original Cheltenham racecourse estate and has been restored to it's current state of a luxury Cotswold hotel. 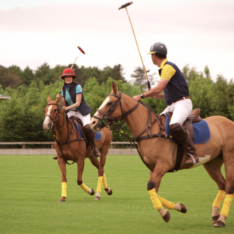 Although this venue offers a multitude of horse-friendly sports like polo, you can still partake in a plethora of non saddle-savvy activities. 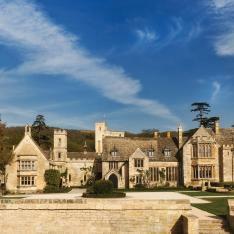 HISTORY LESSON: Ellenborough Park is a 15th century manor house and is adjacent to the famous Cheltenham racetrack. With its origins dating back to 1485, this property is a true historic treasure. 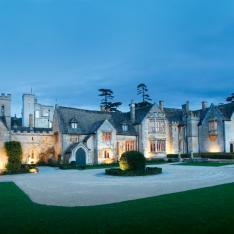 Originally built by a local farmer, the manor has housed lords, earls and most notably King George III in 1788. The hotel boasts a world-class spa and gourmet restaurant, and is comprised of 62 large bedrooms and suites designed by Nina Campbell. 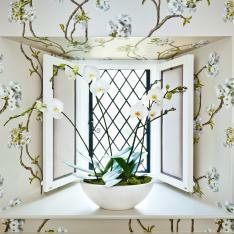 This beautiful English country house offers guests the epitome of English elegance. 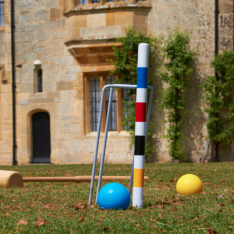 Many “royal” activities are offered near the property, including polo, archery, and shooting. HOW WILL MY GUESTS GET HERE? 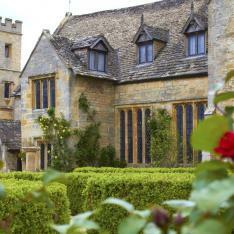 : Ellenborough Park is just an hour from Birmingham International Airport, an hour and 45 minutes from London Heathrow Airport, and two hours and 15 minutes from London Gatwick Airport. Taxis are also available to the airport from the Cheltenham Spa Railway Station, should guests choose to travel from another city by rail. 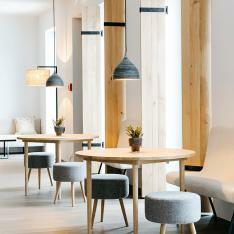 The hotel is situated a 10-minute drive from the railway station. 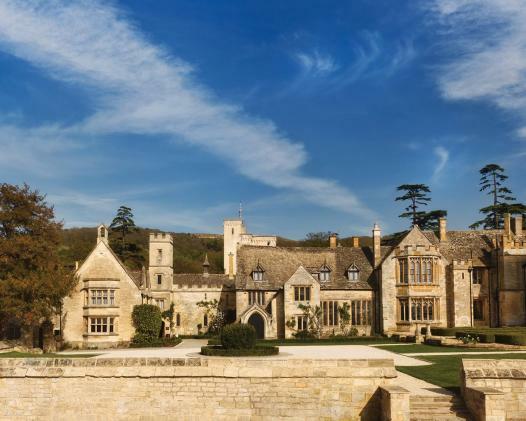 With views of the rolling Cotswold hills in England, Ellenborough Park offers seven different venue options for weddings and events. Providing incredible accommodations alongside top notch service, this venue is ideal for luxury country retreats, dinner parties, getaways, birthday parties, weddings, corporate events and celebrations, all set within an authentic period property. 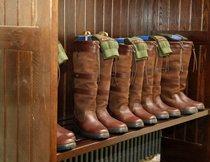 HORSING AROUND: There are a multitude of private dining options on the property. Are you looking to host an intimate dinner party or gathering? 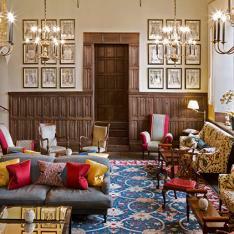 The Royalist room or Library would be an ideal venue setting. 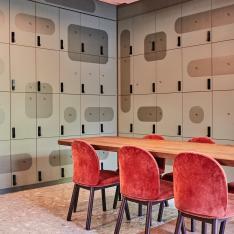 The Library is even connected to one of the hotel’s suites for extra privacy! 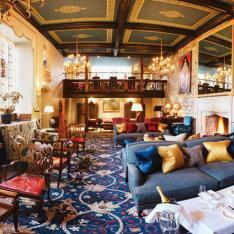 You can also choose to host a gathering of as few as 4 guests in the grand Main House. 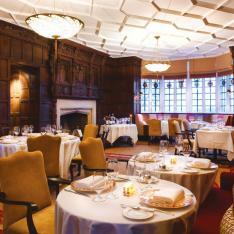 Additionally, Ellenborough Park's fine dining restaurant, The Beaufort Dining Room, can be booked for up to 50 guests. For larger celebrations you can host an event or wedding in the marquee on the exquisitely lush lawn for up to 150 guests. The property’s De le Bere Court can accommodate 40-100 guests and celebrations can also be held inside of the main house for up to 40 guests. Options, options and more options! WHAT WILL MY GUESTS EAT? 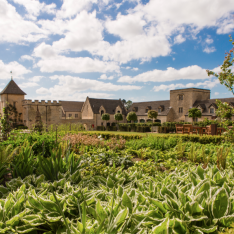 : The Head Chef has created a classic, yet modern, menu inspired by home grown ingredients from Ellenborough Park’s very own kitchen garden. All dishes are complemented by locally sourced produce. INSIDE REPORTER TIP: This venue offers significant rate discounts for mid-week events and weddings. 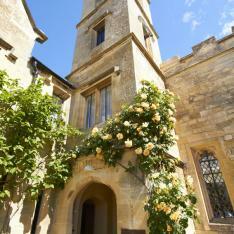 The area surrounding Ellenborough Park and the setting itself is truly fit for the Prince and Princess wedding/event of your dreams. 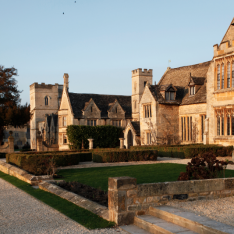 The manor house is set up much like a castle, and there is an abundance small limestone villages in the Cotswolds within driving distance of the venue. 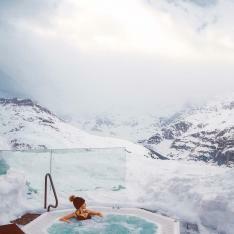 There are also many activities for out of town guests, from hiking and exploring to partaking in some famed English sports. Are you a movie buff?! 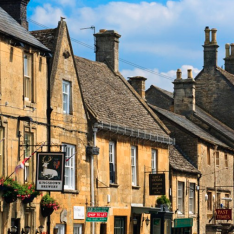 The Cotswolds have been home to some big productions including Harry Potter, James Bond in Die Another Day, Bridget Jones's Diary and Doctor Who. 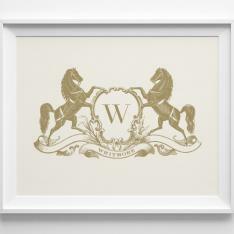 We love the regal and elegant equestrian vibe and history of the venue. 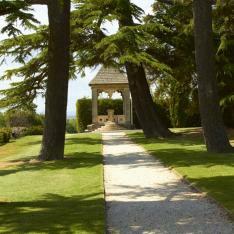 A combination of sophistication fuzed with nods to the horse history of the property would be the perfect way to style a celebration at Ellenbourough Park. This venue allows hotel buyouts, which means that you and your guests will have the entire 60 bedroom country house to yourselves. The gates to the hotel will close, thus not allowing access to the public. 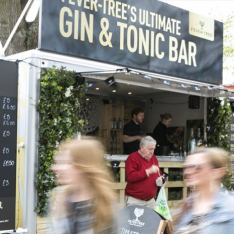 This means that you can transform the restaurants into lounges or games rooms for your event. 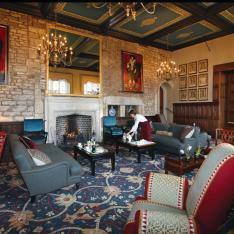 The public areas that are normally open to other hotel guests will become yours to use for the duration of your stay/event, such as the historic Great Hall. This jaw dropping area can be utilized for the ceremony, dining area or even a dance party! With exclusive hire, the sprawling grounds will be yours to utilize. Throw a pool party, BBQ, host a picnic, croquet tournament, or use the Gazebo for an outdoor wedding ceremony (only available to guests who opt for the buyout) BRAGGING RIGHTS: Voted UK's Best Luxury Hotel in the Trip Advisor Traveler's Choice Awards 2013 & "England's Leading Spa Hotel" by the World Travel Awards in 2011, 2012 and 2013. 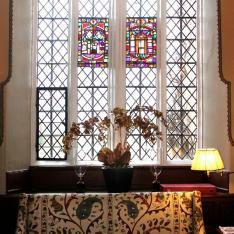 Recently renovated and re-opened in 2011! 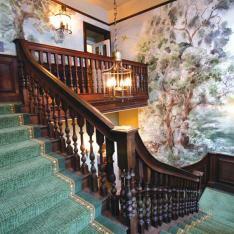 You can opt for a buyout and really make the countryside manor feel like your own home. 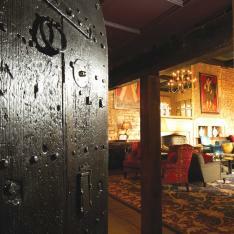 Rich with history and has hosted royalty in the 1600's. 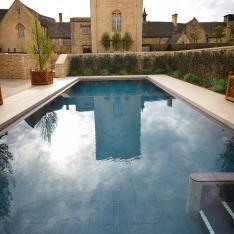 Located in the Cotswolds, a town rich with history and the site of many major motion films. Lot's for you and your guests to do. 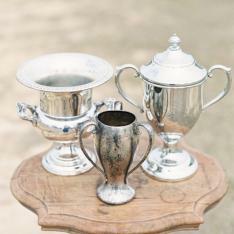 Many “royal” activities are offered near the property, including polo, archery, and shooting. 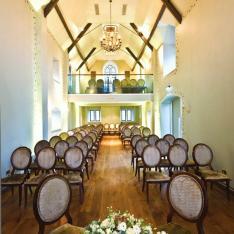 This venue offers significant rate discounts for mid-week events and weddings. There are plenty of things to do around town. 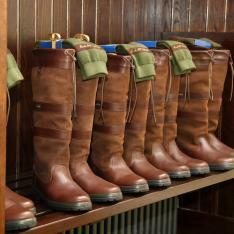 Take a leisurely stroll around the grounds, decked out in Dubarry boots or Hunter wellies (both available on complimentary loan), go riding at a nearby stable or riding school, play polo or learn how to play polo at the Longdole Polo Club. 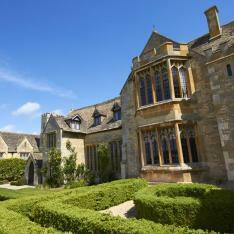 VENUE: Ellenborough Park // Photos Courtesy of Venue.